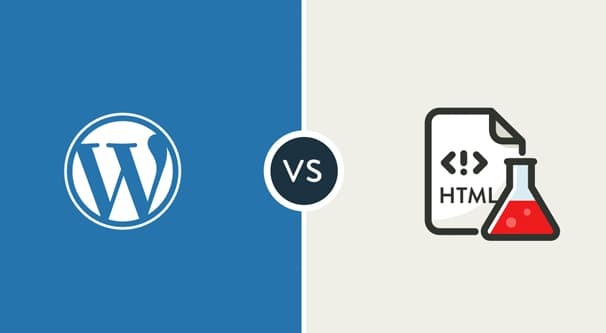 Do WordPress Sites Rank Better Than HTML Sites? There are so many fiddly bits going into the calculation of Google’s search ranking that it’s no surprise when business owners question another fiddly bit. “Does X influence SEO?” is one of the most common questions in marketing online. 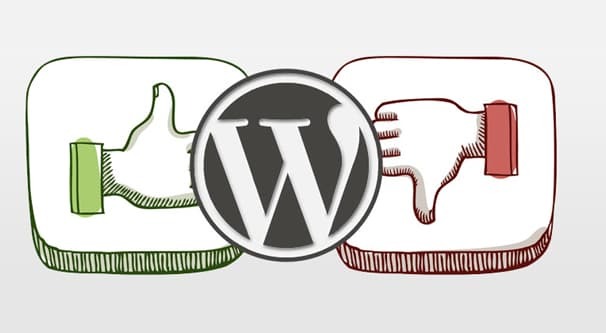 The question of whether WordPress has any inherent advantages or disadvantages is a common one as well, and it makes sense. WordPress is a site architecture, and sometimes those come with extra baggage – or extra advantages. The question is, does it this time? The simple answer here is that no, WordPress sites do not have any inherent advantage or disadvantage over home-developed HTML/CSS websites. Google treats both kinds of sties the same, in broad strokes. If you want proof, just look at the web around you. If Google gave preference to WordPress over other CMSs or over custom code, 99% of the web would be using WordPress. Anything Google does give preference to is dominant on the web, so it should come as no surprise that anything sanctioned becomes the de-facto default. However, WordPress can have some advantages and some disadvantages for SEO, depending on how you set it up and what you’re using. I plan to go over those advantages and disadvantages below, so you can decide what you want to do when developing your website. First up, let’s talk about the advantages WordPress has in terms of SEO, marketing, and general web use. Even if some of these aren’t specifically SEO factors, they can have a secondary impact, and it’s worth considering. It’s incredibly easy and fast to set up a WordPress site. As long as you have web hosting ready to go, you can go from nothing to a functioning WordPress site in under an hour if you know what you’re doing. You don’t have to wait for a developer to do their work and get something to go live. WordPress comes with a near-infinite variety of plugins to expand and integrate features. Years ago it might have been better to use a custom developed site for some advanced features, but between the WordPress plugin directory, CodeCanyon, and all of the other independent developers, you can basically do anything with a plugin either for free or for a low cost. WordPress is trivial to get running quickly with a framework. The Genesis framework is build for speed, meaning you’ll top the ratings for Google SiteSpeed ranking. Page load times are a verified search engine factor, and it’s trivial to get a high ranking with WordPress. 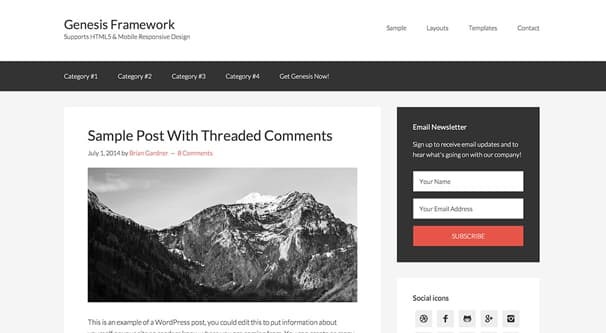 WordPress can be responsive just by picking the right theme. Google’s emphasis on mobile for SEO is increasing every day, from previous benefits to sites that have mobile compatibility to the recent mobile-first indexing change. Being able to comply with all of the best recommendations for mobile browsing simply by picking the right theme is a huge benefit. SEO plugins like Yoast and All-In-One can help you cover all the bases properly. Instead of needing a huge checklist of every little bit of SEO just to remember things like image alt text, you can install one do-it-all plugin and configure all of the options quite easily. It’s surprisingly useful to be able to cover everything in one place and not have to worry about it. It’s cheap or free in most cases, which is ideal for small businesses and individuals. WordPress on its own is free, you just have to pay for the web hosting. Most plugins are free or will cost you something like $5-$10 for an annual license, so it’s not all that difficult to get a site up and running on a very low budget. You have access to the admin console for easy publication with minimal fuss. We tend to take it for granted, but using something like the admin console for WordPress makes web maintenance and content publication so much easier. It’s why infrastructures like WordPress have become so popular. If you can use a word processor, you can publish content through WordPress. The user experience tends to be more standardized, leading to better user metrics. Your readers know what to expect, and how to navigate your site, without needing to fumble around through navigation or find semi-hidden links. Sure, you might lose out a bit in “feeling like everyone else” but for every person you lose to that, you retain a thousand. Now let’s talk about some of the disadvantages inherent in using WordPress specifically. Again, some of these aren’t going to be direct SEO factors, but they can have an impact in how you’re running your site, and in how users use it. You’re limited in functionality to what plugins and themes you can find and are willing to buy. If you want a specific feature but you can’t find a plugin you trust to handle that feature, you have limited options. You can use an untrusted plugin and hope it’s not a security risk, you can go without the feature, or you can pay a developer to create the plugin to handle that feature for you. 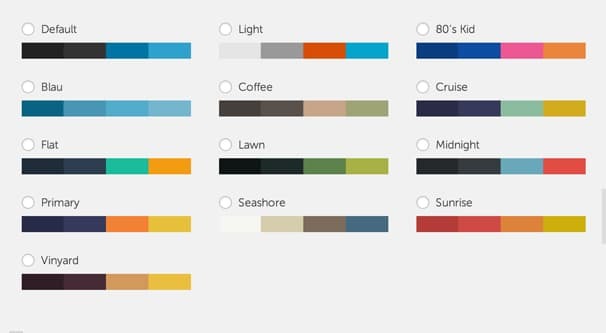 The same goes for themes; if you can’t find one you like, you have to pay to have one developed for you. Depending on how complicated you want it, it might be fairly costly as well. If you have a self-hosted WordPress site, these are pretty much non-issues, as there’s no limitations to plugins or themes. You have to keep all of your plugins and themes – and WordPress itself – up to date. There’s a lot of regular maintenance involved in running a WordPress site. You have to keep your content and meta data up to date for SEO purposes. You have to update every plugin whenever a new update rolls out, and double-check to make sure it didn’t change any of the functions you rely on. You have to update WordPress itself, which can invalidate some old plugins and requires immediate attention. It’s almost a full-time job when you add in database maintenance. Security issues are much worse when they happen. Since WordPress is an immensely popular CMS for web development, any major security issue that pops up will immediately be taken up by thousands of hackers looking to compromise any site they can. With a custom HTML site, the security risks are harder to identify, and thus require more personal attention from a motivated hacker, which is something less likely to happen. Sometimes a plugin update can screw things up. Even major plugins can accidentally tweak a setting that can dramatically hurt your site until you fix the issue. On the plus side, at least fixing the issue is usually a fast setting change. 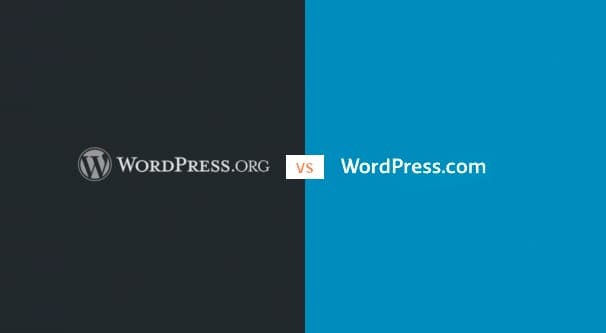 Finally, make sure to remember that there’s a difference between WordPress and a WordPress.com site. Using a WordPress.com site – with a domain.wordpress.com URL – is going to be less valuable to SEO because of it. You lose out on branding, you lose customization options, and you might be part of a “bad neighborhood” in terms of customer impression. At the absolute very least, you need a custom site on custom hosting using WordPress.org’s framework, not a simple site builder WordPress.com page. Now let’s talk a bit about how a custom site based on HTML and CSS can stack up. The first and most obvious benefit to using completely custom code is the ability to do basically anything you want with it. HTML5 and CSS3 combined can do some incredible things, up to and including making a fully animated site. A lot of those fancy scrolling effects and dynamic adjustments to sites as you use them are done in an SEO-friendly way using modern code. You have complete customization options. With WordPress, you tend to be limited to what people have put together as customization options. If you don’t have an SEO plugin, some advanced parts of SEO are difficult to change. If you don’t have a plugin to easily manage your images, they can get out of hand. If you want a fancy animation effect, you need to find someone who has made a plugin for it or develop it yourself. You have total control over your SEO. You’re not limited to what someone else thinks is best practice, you can do whatever you like. Of course, if you’re not an SEO expert, you might prefer having the guidance of a plugin, so this may or may not be a benefit. With freedom comes the ability to shoot yourself in the foot, you know. Development costs can be pretty ridiculous. At the low level, when you’re paying a cheap designer, you might actually just end up with a WordPress site anyway. If not WordPress, you might end up with another CMS in its place, like Joomla. Complete custom code tends to be more expensive, and you’ll be paying for it in both time and money. You’ll get something excellent out of it with the right investment, but it’s still an investment. You need custom development, which can have security holes. Whenever you’re developing custom code, you need to make sure it’s as secure as possible. You need to trust your developer to be aware of existing security holes and to take steps to mitigate them without introducing more. It’s quite difficult to find everything, and a legion of hackers is more powerful than a single developer. You need to remain vigilant to detect and protect against any possible intrusion at all times. It can be annoying to manually format and upload content. The main initial benefit of a CMS – and in fact why WordPress was created in the first place – was to make it easier to create and publish content. Without using a CMS, you’re going to be doing a lot of manual work. That’s fine if you know what you’re doing and you enjoy it, but it can be tedious otherwise. At the end of the day, you are of course entirely free to choose whichever method you want to use. If you have the money to spare for a high quality developer and you want to do something customized, with detailed and interesting animations and custom code, I would recommend using a custom HTML site. If, on the other hand, you want a simple website that operates a storefront and has a blog that covers all of the SEO bases, you can do a lot worse than WordPress. There’s really nothing wrong with using WordPress, so long as you’re able to keep up with the maintenance. Personally, I prefer using WordPress to set up a site, using a handful of default plugins to give it the basic features I want, and then hiring a developer to give me plugins or themes for custom code or features I want to create. Think about it this way; nothing stops you from adding custom code on top of WordPress.org installations. Using WordPress as a place to start simply makes 90% of the initial development work done for you. You can get a site up and running in an hour, spend a few weeks back and forth getting the last 10% developed, and have a great site by the end of the month. From there, all you need to do is produce the quality content Google wants to see. Google isn’t going to give either one preferential treatment. You simply need to cover the main SEO bases whichever platform you choose to use. Make sure your meta data is sorted out, make sure your site loads quickly, has a good domain, has strong branding, and has a mobile version. Produce high quality content on a regular schedule, even if it’s a relatively slow schedule. These are the elements Google looks for, and you can do them regardless of whether you’re using WordPress or a custom solution.